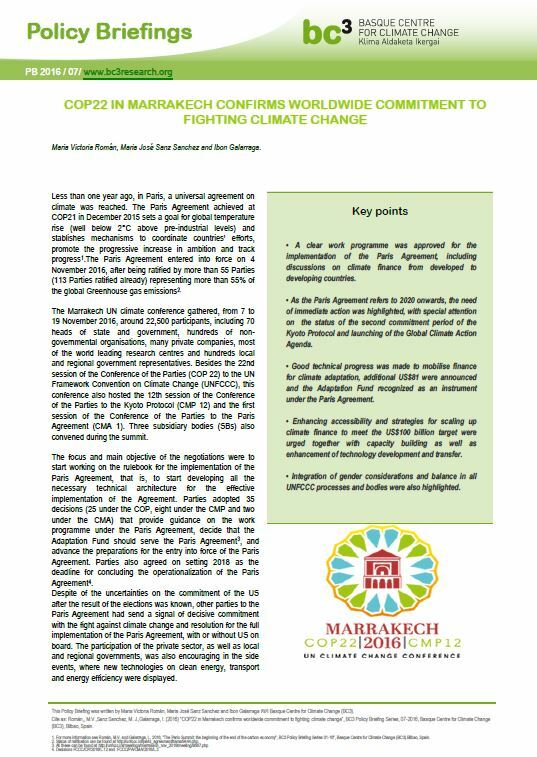 BC3 just published a new Policy Briefing. PB [2016-05]" Climate Change in the Basque Country: Impact on Health and Adaptation measures". Get the insights in the video BC3 produced. 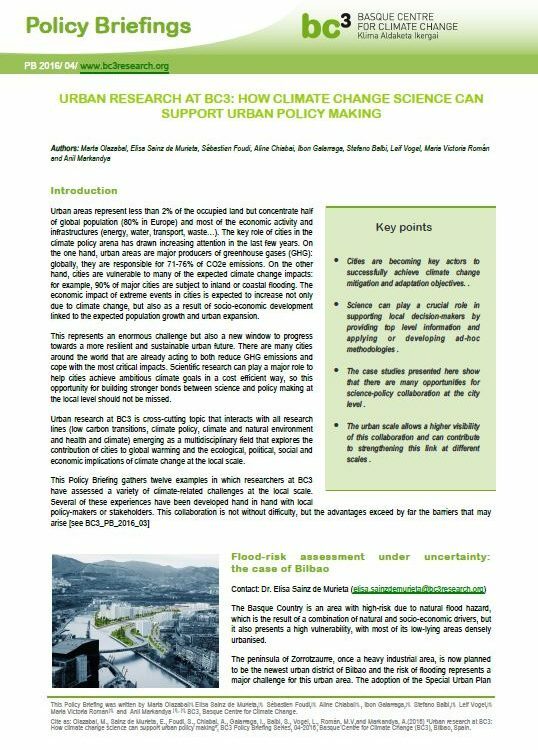 BC3 just published a new Policy Briefing. 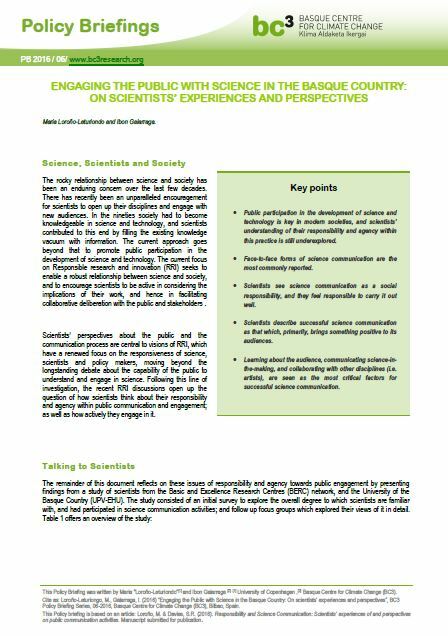 PB [2016-04]" Urban research at BC3: How climate change science can support urban policy making". Get the insights in the video BC3 produced. 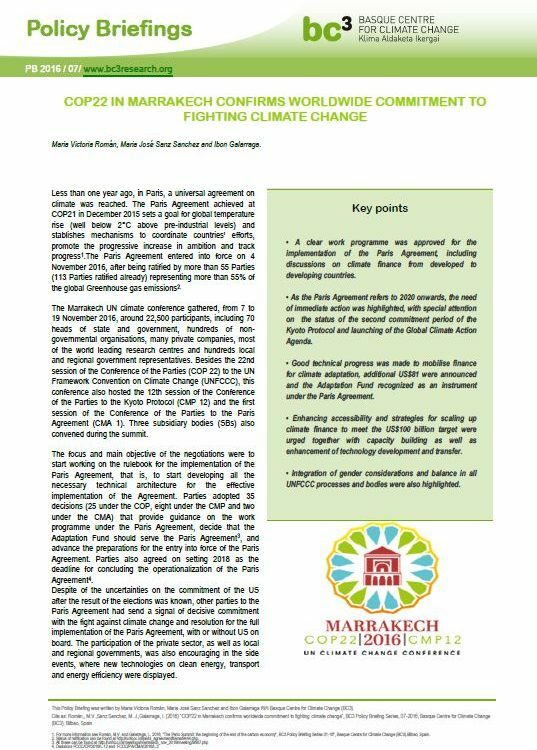 BC3 just published a new Policy Briefing. 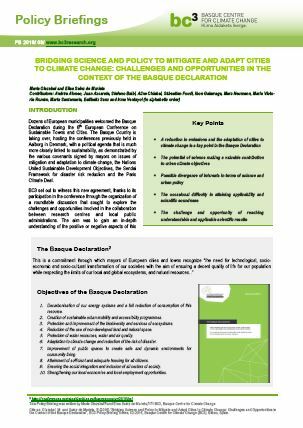 PB [2016-03]" Bridging Science and Policy to Mitigate and Adapt Cities to Climate Change: Challenges and Opportunities in the Context of the Basque Declaration". Get the insights in the video BC3 produced. 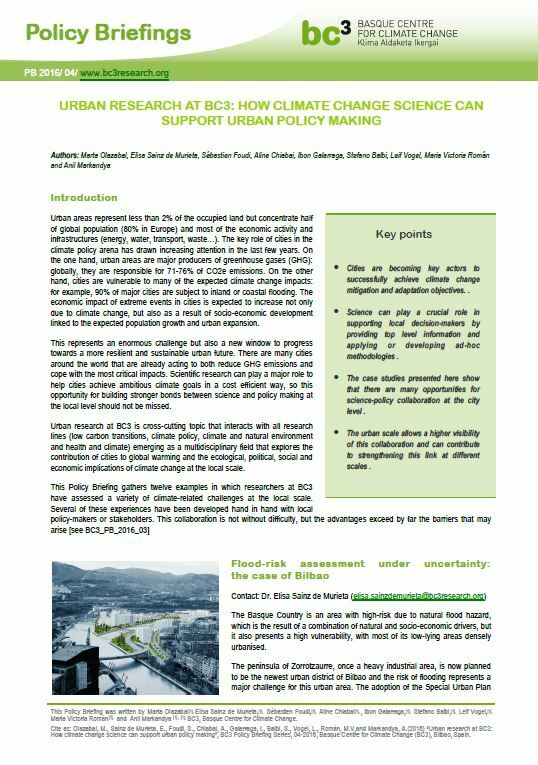 BC3 just published a new Policy Briefing. 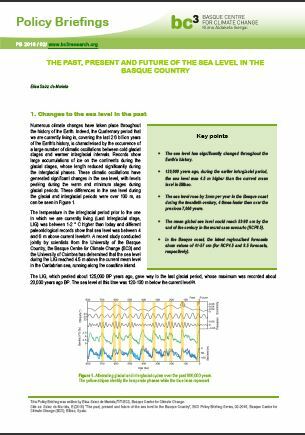 "The past, present and future of the sea level in the Basque Country". Get the insights in the video BC3 produced. 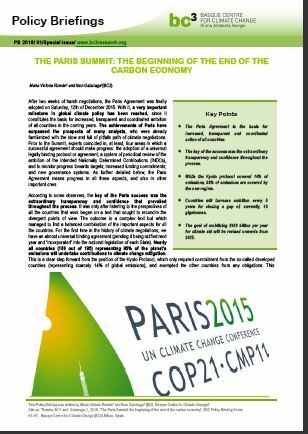 BC3 just published a new Policy Briefing, "The Paris Summit: the beginning of the end of the carbon economy".Get the insights in the video BC3 produced.